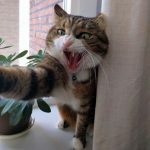 Do cats feel emotions? 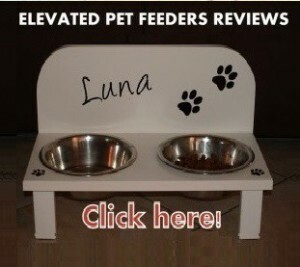 Do they display certain behaviors showing love to their owners? According to Dr. Allen Schoen Hollistic Veterinarian, cats have the same neurotransmitters we do, the same neuro-hormones, and the same parts of the brain, so they should feel emotions as we do. 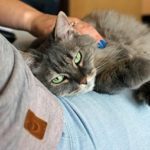 If you want to know how your feline friend expresses its love for you or even if it loves you at all, the following are the 9 ways cats show their humans love. Some of the following behaviors could be also a symptom of a more complex situation and that’s why you need to refine your observation skills to understand your kitty. 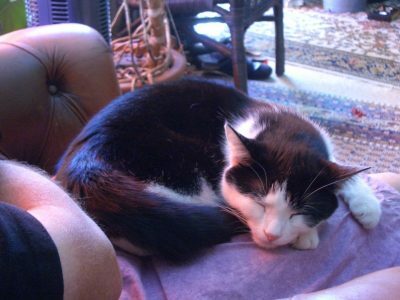 If your cat looks at you and blinks slowly with both eyes, it’s showing that he is content and happy around you. When cats blink, it means they are putting their main survival function on pause: the vision. 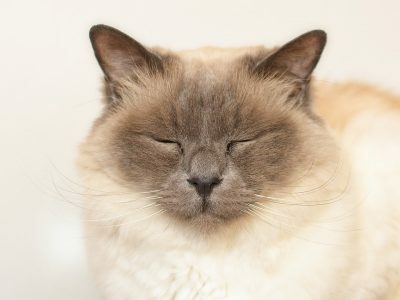 If your feline blinks, it means he trusts you with its life and he loves you. Give your cat a nice slow blink back, telling him you love him too. The abdomen is a very vulnerable area on the cat’s body, because it protects the cat’s vital organs. Cats even develop a flabby belly that plays the main function of protecting the stomach in case of fights with other cats (source). 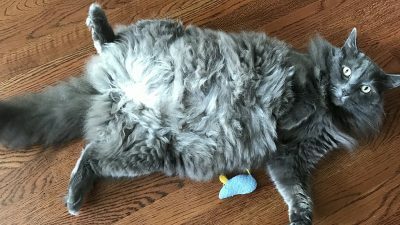 If your cat shows you its belly is the ultimate sign of your cat’s trust and love. 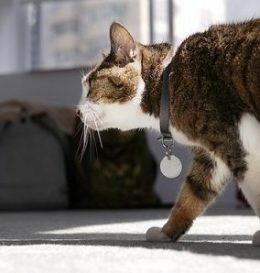 Your feline friend is telling you he trusts you and feels confident and relaxed next to you. If you touch the cat’s belly the survival instinct will take over and you may end up scratched or bit. Though, some cats let their humans touch their belly for a second or two. If your cat doesn’t let you touch its belly just look at it. You can stroke him later, after its belly display. 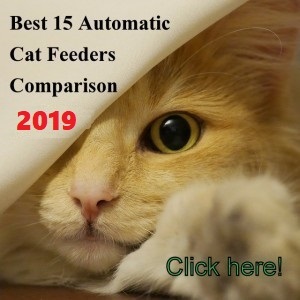 If your cat always chooses to sleep or relax next to you instead with other family members it means your feline friend enjoys your company and trusts you. 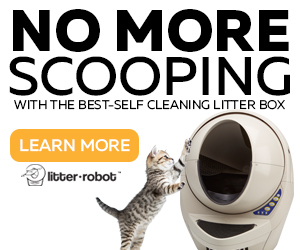 This is clearly a sign of love that most cat owners enjoy and seek. You will find that sometimes your cat doesn’t have space to lay down next to you so he will sit behind your head on top of the couch’s backrest. That means he can’t resist being close to you (aww). A sign of love also occurs when your feline seeks touching you before falling asleep. It could be its paws on your lap or its side against your leg. 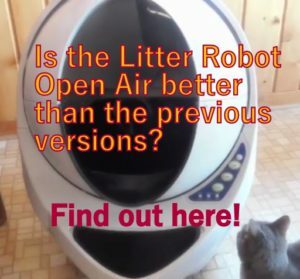 Just enjoy the warmth and love of your feline giving it an occasional pet if its eyes are half open. If your cat is sleeping, just enjoy its company. The cat’s tail show its emotions. 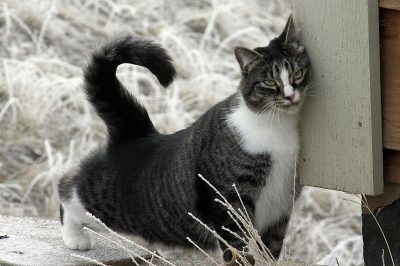 If you get home and your feline walks towards you with a relaxed tail up and with its ears forward, it means it’s happy to see you back. This is a friendly form of greeting that cats provide only to the ones they love. Also, a vibrating straight up tail shows excitement to see you. 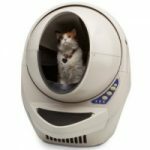 In return to his friendly and loving gesture, show your cat how much you love him through a quick soft scratching in its head or cheeks. 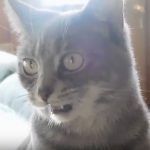 This usually happens if you are sitting next to your cat and your feline friend is grooming himself and it starts licking your hands, your face, etc. The act of grooming is a sign of social bond between cats, they express affection this way. This licking behavior towards humans means that cats love their humans and they’re showing this affection. Just enjoy your cat grooming you! Just make sure not to let your feline lick you for too long or your skin could end up sore. If your cat licks for too long, pay close attention because it could be a sign of anxiety. 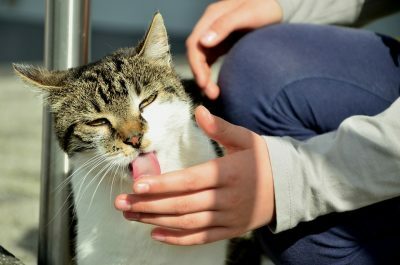 Gentle bites could be a sign of love from your cat but also could be a sign of your feline asking you to leave him alone. Sometimes cats get overstimulated when being pet too much and they let you know in a good manner. 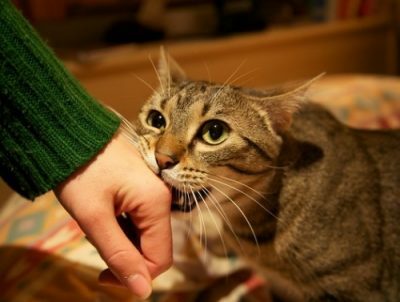 A soft bite is a gentle press of the cat’s teeth on your flesh (source). It’s a good idea to stop touching your cat if you are doing it. If you think your feline is expressing love, just give it a quick scratch in its head and leave it alone. 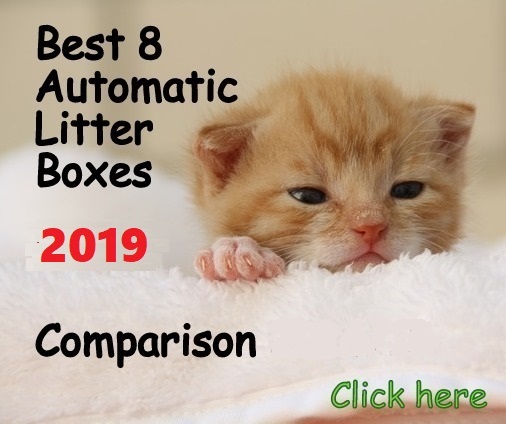 According to Logan Forbes, Cat Physiology and Behavior Specialist, this is a way cats transfer their scent to you, which could be equal to “marking” you as a belonging of their territorial dominance. So when your cat rubs its body against your legs he is saying “hi” and at the same time is reinforcing you as part of its territory. 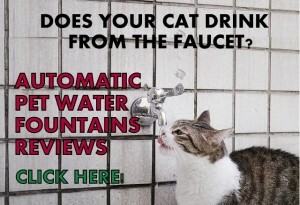 What you should do when your cat does this? 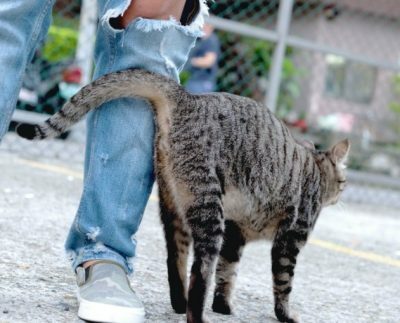 Let your cat to mark its scent on your legs and give it a nice petting to reinforce him that you also want him to be part of your life always. After that, give it its food or whatever its routine is. “Bunting” is the act when a cat rubs his head on objects to leave its scent on them. Cats have several glands in their head (cheeks, top of head, mouth, chin, ears and neck) that are responsible to produce pheromones which is the scent they mark with. According to Vetstreet,when cats bunt on their human’s head they deposit their scent on them and at the same time, they to pick up the scent from their humans. This is a sign of affection and/or greeting from your cat. When your cats head bunts you try to observe its reaction to your response. If you give it a soft quick scratch it its head and he looks happy, he wants your love back. If he doesn’t care much for it, then just receive the head bunting and leave it alone. If your cat follows you wherever you go it means your feline adores you! You are its best partner and he wants to be around you all the time. When a cat follows its human everywhere it means the feline has developed a great bond and it’s considered a great demonstration of love to its human. 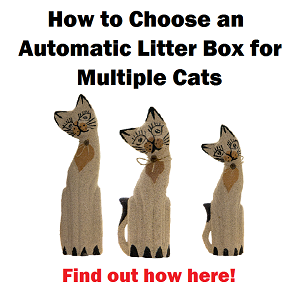 This could also mean your feline has developed separation anxiety in case you have been away from him for a while. If this is not the case your cat simply enjoys your company, it is curious about what you are doing, or it wants to play with you.